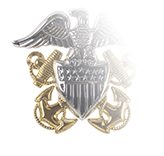 The sleeve insignia for a Vice Admiral in the Navy consists of a single 2-inch-wide stripe with two half-inch stripes above it, with a quarter-inch of space between the stripes. 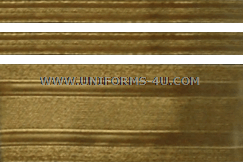 Made with gold lacing, the stripes encircle the entire sleeve and are sewn onto both the left and right sleeves of dress-uniform jackets, with the bottom of the largest stripe two inches from the end of the sleeve. 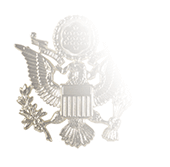 The rank of Vice Admiral (O-9) is known as a “three-star” grade, and these stars are found on the shoulder boards worn on certain types of dress uniforms (such as the male version of the Dinner Dress White Jacket, for instance). 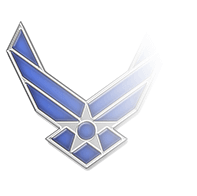 This is in contrast to the star seen above the stripes of many Navy Officers; it indicates their classification as Officers of the Line, rather than a rank. 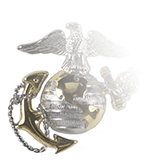 Staff Corps Officers, on the other hand wear their Corps device instead of a star. While the vast majority of Vice Admirals are Line Officers and would therefore wear stars as their sleeve devices, there are exceptions. 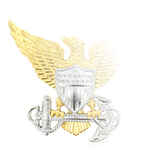 The Surgeon General of the Navy, for example, is a Vice Admiral and wears the Medical Corps sleeve device. In any event, we encourage you to browse our Navy Sleeve Devices Web page and select the appropriate device to accompany your sleeve lacing set. For customers purchasing a jacket on which sleeve insignia are worn, we suggest you check out our Laving and Sleeve Device Sewing Service, which provides sleeve hemming and attachment of sleeve lacing and devices for one low price. You’ll be presented with the option when you add an applicable jacket to your shopping cart.